Even if you did not work with technology or digital projects, probably you could have heard about the 10 usability heuristics of Jakob Nielsen. In summary, are 10 items for a usability evaluation of a website with the purpose to avoid common mistakes. One of these, and really nice, is about to prevent user errors. Directly: it’s great to show an alert or a message for the user about the error, but could be better if we could avoid these errors. One that I remembered and which helped me several times is writing an email in Gmail. 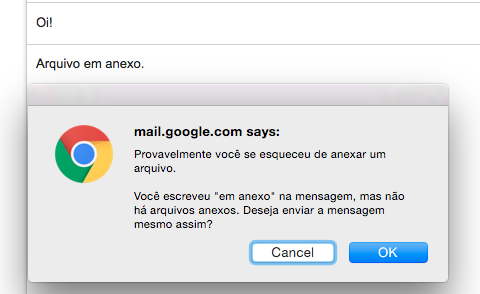 If we had the word attachment (in portuguese works with anexo) in the email body, and there is any attachment file, so Gmail shows an alert to user asking if he/she forgot to attach the file. With this idea in mind, we could do a lot of cool things, mainly in forms. 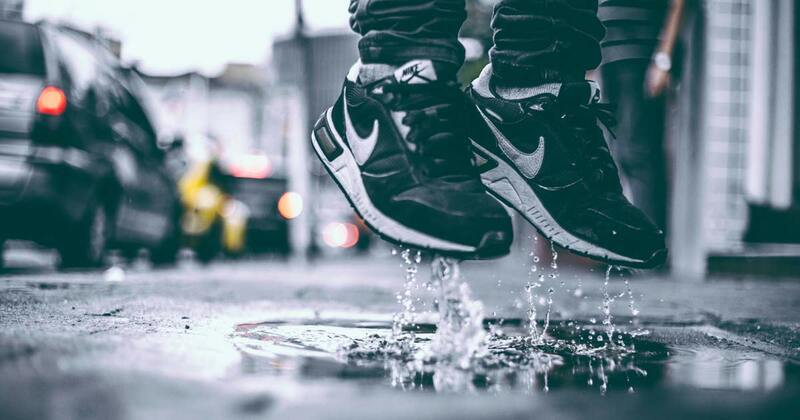 So, we talk primarily about real time actions, which users make an action and the system responds immediately, or to avoid the error or to guide the user on the right way. But if we think in long-term, when we could have some registered users in our system, app or whatever. Can we not prevent them from possible actions to be made? Ahn?! Man, what are you talking about? Let’s go there. Nothing better than use an real world example that occurred with me last week. I use an app which you need to register some documents. When you do that, you must put a expiration date related to the document. However, I believe that has already happened to most people, to forget a possible due date or pay attention to it the next day. In summary: the due date of one of my documents had expired and I did not realize that. So, one day I tried to start the app and I couldn’t because a message showed for me that one of my documents was expired. So, in the same hour, I updated the document, because I had the new version, but I did not had uploaded in the app system. However I couldn’t use the app because the app took some time to validate the document. This can be just a crazy idea of my mind, because in fact, the error was mine, but I was extremely angry with the situation and the first thing that I thought was: “the app could have warned me..”. Do you like it? Did I write something stupid? Do you want to improve? Open an issue mentioning the post and let’s talk about it.